I wanted the circular pattern to be obvious, but not stark, so that means that I merged the values slightly. Some of this was accidental, as I find it hard to judge the values of light fabrics. It's surprising how some fabrics that you thought were light, are actually not light at all when seen from a distance! Don't over think it though! 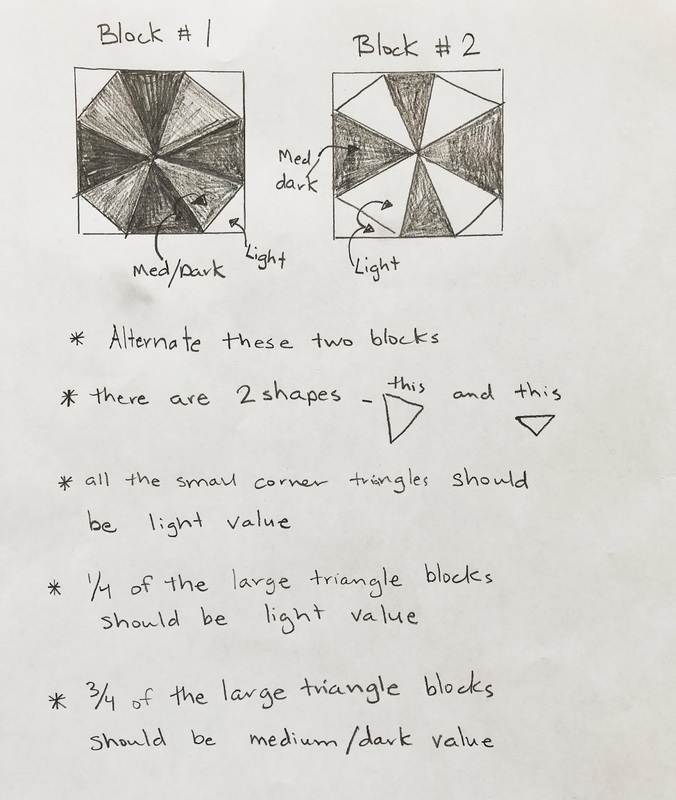 If you follow this guide in general, a few wrong values in there will add interest and the overall design will still show up. I arranged my less accurate valued blocks around the edges, which makes the design fade out a bit. 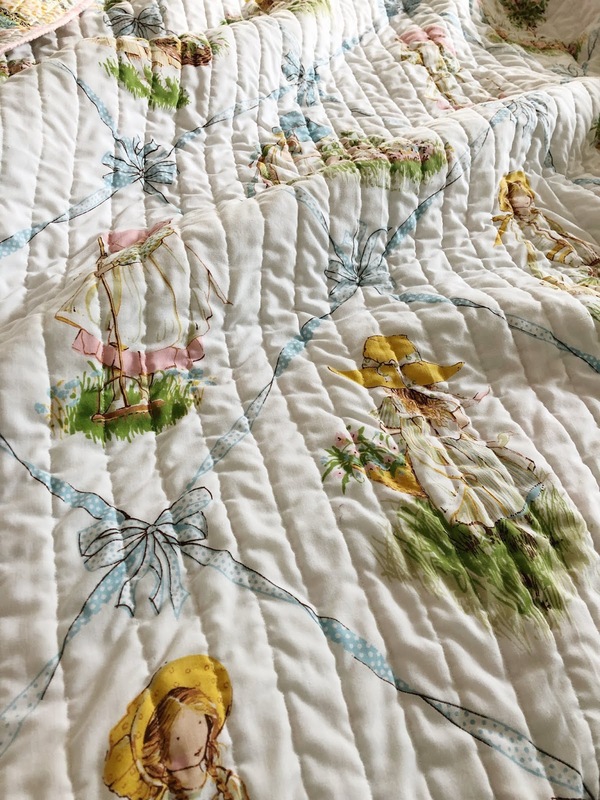 I don't mind it in the finished quilt, because the stronger design in the center continues to suggest the same design on the outer edges, even though some of the bottom blocks are just a smudge! I used the Marti Mitchell KaleidoRuler, which I highly recommend! I would use this over a premade template for a few reasons. 2. You can precut larger strips with this ruler and I think it's alot easier to cut than trying to wrangle around a template. 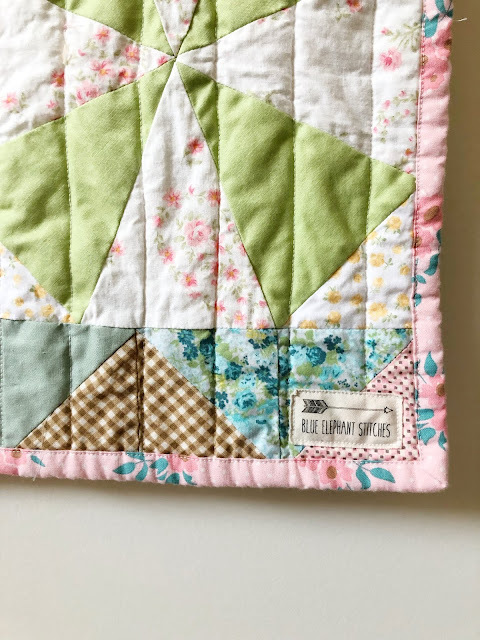 *The backing is a vintage Holly Hobby sheet. 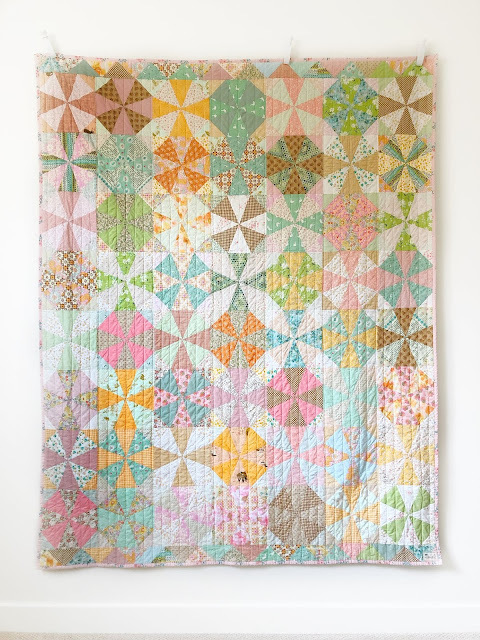 *I've seen a lot of kaleidoscope quilts that were not what I wanted, and only a few that told me it was possible to make what I was envisioning. The Kaleidoscope quilt in this post by Huntspatch Quilts is one I like! Beautiful! The slight fading of the design around the edges is brilliant! 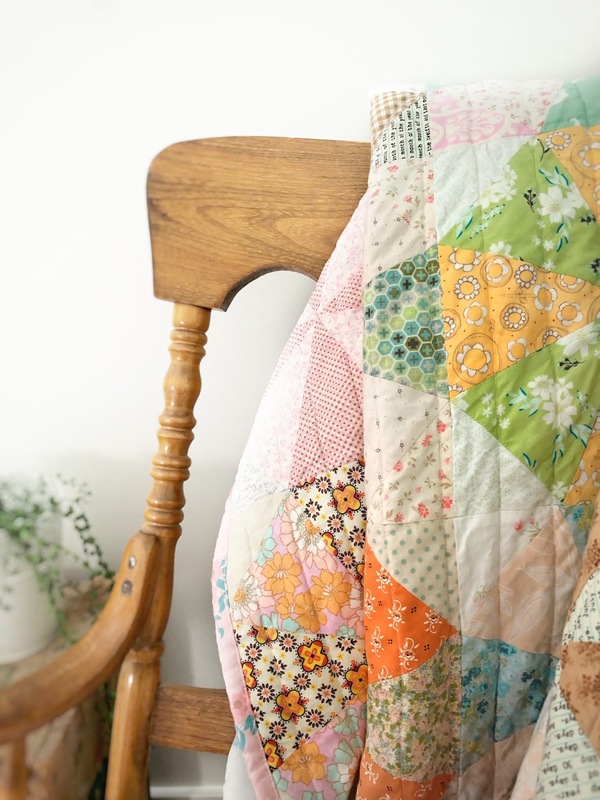 A beautiful quilt - it's on my one day list. Ha! 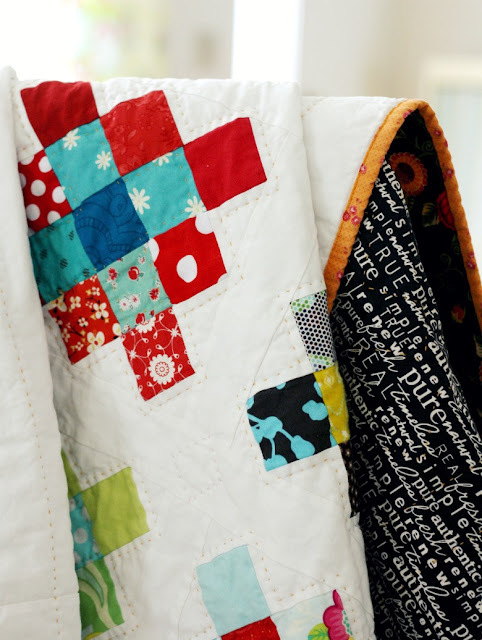 I was thinking your quilt had some similarities to mine -- and then there it was! Thanks for the shout-out. Yours is lovely. I couldn't find a full post on that quilt...if you have one I'd link to it instead! Absolutely Gorgeous! Your fabrics you choose are always so beautiful.